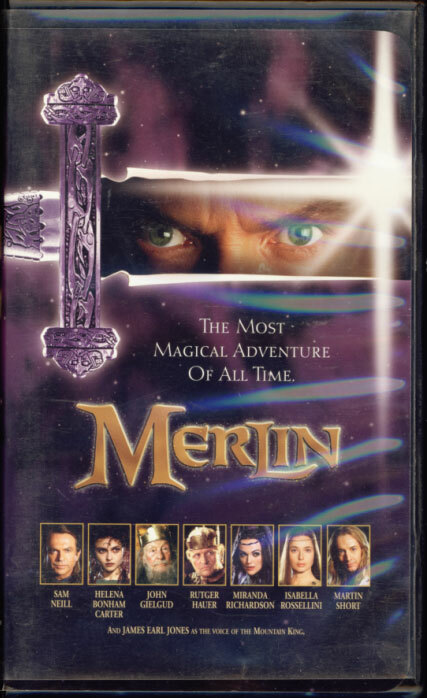 Merlin on VHS. Starring Sam Neill, Helena Bonham Carter, John Gielgud, Rutger Hauer, Isabella Rossellini, Miranda Richardson, Martin Short, James Earl Jones. Directed by Steve Barron. 1998. The Most Magical Adventure Of All Time. In a time long past, when magic was fading from the world of men, the malevolent sorceress Mab summoned forth a mighty wizard to keep the power of the Old Ways alive. The wizard’s name… was Merlin. But when his heart is touched by the love of the beautiful Nimue, Merlin turns away from Mab’s dark enchantments. Allying himself with the young warrior who will rise to become the legendary King Arthur, Merlin pledges his mystic skills to Arthur’s visionary cause: bringing peace and justice to the realm haunted by monsters and ravaged by war–and setting the stage for the ultimate clash of Good versus Evil. 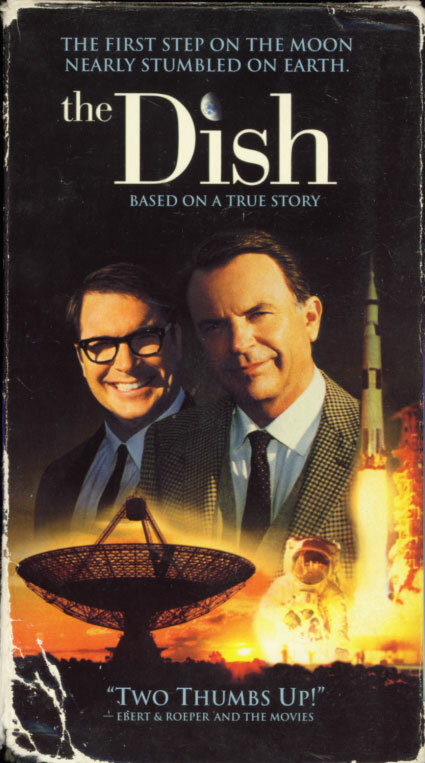 The Dish on VHS. Starring Sam Neill, Kevin Harrington, Tom Long, Patrick Warburton, Roy Billing, Bille Brown, Tayler Kane, Genevieve Mooy. Directed by Rob Sitch. 2000. The First Step On The Moon Nearly Stumbled On Earth. It’s the biggest event since sheep invented wool! Apollo 11’s astronauts will walk on the moon — and the 1,000-ton satellite dish in tiny, sheep-farming Parkes, Australia, will beam that historic first step around the globe. But as giddy citizens prepare for the moment when the entire world will depend on them, the dish flatlines. And its unconventional Aussie crew and its by-the-book NASA supervisor from the U.S. have very different ideas about how to fix it. 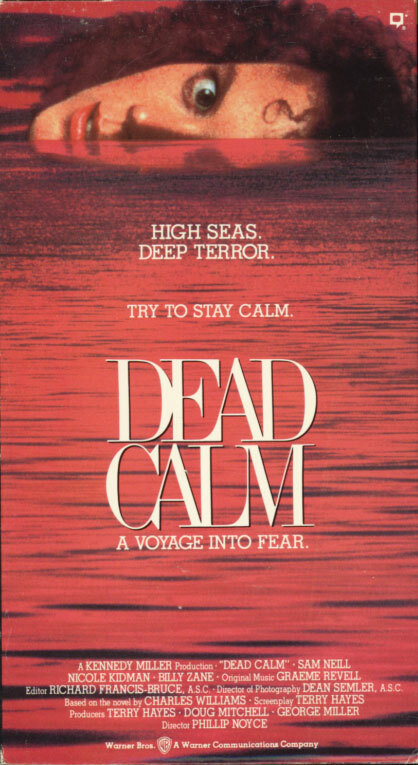 Dead Calm on VHS. Starring Nicole Kidman, Sam Neill, Billy Zane. With Rod Mullinar, Joshua Tilden. Directed by Phillip Noyce. 1989. High Seas. Deep Terror. Try To Stay Calm. The suspense begins on the high seas when John and Rae Ingram (Sam Neil of A Cry in the Dark and radiant newcomer Nicole Kidman) rescue a half-delirious stranger (Billy Zane). He says he’s the only surviving crew member of a crippled schooner, but he’s really a demented killer. And he’ll soon plunge his rescuers into a terrifying battle of cat and mouse. And life or death.